The West Ham Way New Facebook page! I would like to put it on record before I start, a massive thank you to Richard Osis who kindly donated his facebook page to us having decided he no longer wanted to run it. This is a massive opportunity for myself and SDCC who will be running it as a joint page now. You will be able to get all the latest radio/podcasts there and our one this Wednesday coming really cannot be missed like the Julian Dicks one of last week. 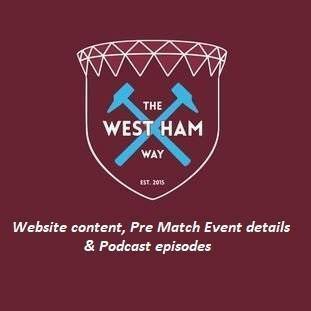 It will contain all the latest event news plus the regular articles and features that you found on the old West Ham Way Facebook. This page will start to become redundant now and we will move to close it down in a few weeks. I would be really grateful for those people who have liked our old page switch over to the new page to enjoy the new content. Can you try and get Bobby Zamora?